The college tour officially begins November 1st at our alma mater, Clark Atlanta University! 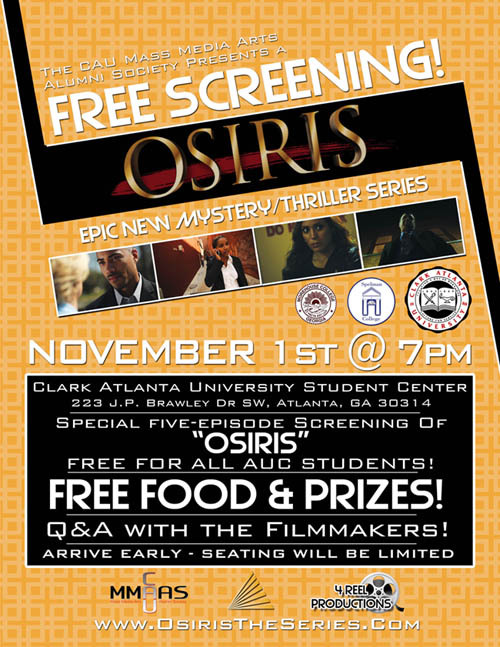 We’ll be hosting a FREE screening of FIVE EPISODES to students of CAU, Spelman College and Morehouse College! We’ll be providing Free Pizza from Nancy’s Pizza in Atlanta. That was great. I've seen those films and http://penessays.com/ I find them truly special. Thank you for those materials you've shared here.